If you are looking for a siding contractor that you can trust in Albuquerque, New Mexico, or a surrounding area, turn to ABC Seamless of Albuquerque. Since our founding in 1989, we have been installing maintenance-free cladding that will decrease the chances of obtaining water damage and increase the curb appeal of your home. And, thanks to our unique method of fabrication, we are able to create your new siding on-site, at your home, to make sure it is a seamless fit from side-to-side. Our seamless steel siding is able to stand up to whatever Mother Nature has to offer. Because it is made from durable G-90 galvanized steel you will never have to worry about damage to your cladding from the elements such as hail, fire, or intense winds. 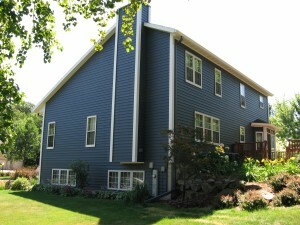 Any other siding contractor in the area that only offers less superior products would not be able to guarantee this. For more information about entrusting the area’s best siding contractor for your cladding installation project on your home in Albuquerque, NM, or another surrounding area, contact ABC Seamless of Albuquerque today. We offer transferrable lifetime warranties on all of the products we offer in addition to a 10 year labor guarantee.